Director Mina Shum used improv to her advantage during rehearsals for Meditation Park. Each week, The Filmmakers brings you fun, candid conversations with the talents behind some of Canada's most acclaimed films. For season two, we're shining a spotlight on female filmmakers. This week's premiere focused on MIna Shum's Meditation Park. Watch the full episode featuring an interview with Shum here, then settle in and stream the full film. The production schedule for Meditation Park was tight — Mina Shum wrote the screenplay in a month and the entire movie was shot in 18 days. The cast didn't have much time for rehearsals. Shum used improvisational techniques to quickly build relationships and develop family dynamics between her characters during the little time she had in pre-production. The actors barely looked at their scripts during production and had to improvise around the movie — a process that Shum prefers. Lillian Lim plays one of the quirky Chinese-Canadian parking ladies in Meditation Park. Lim's character quarrels with an opposing "parking shark" — played by the legendary Canadian actor Don McKellar — an outlier in the illegal East Vancouver parking racket who attempts to undercut their business by ten dollars. During rehearsals, Shum had to create an instant sense of animosity and tension between the characters. 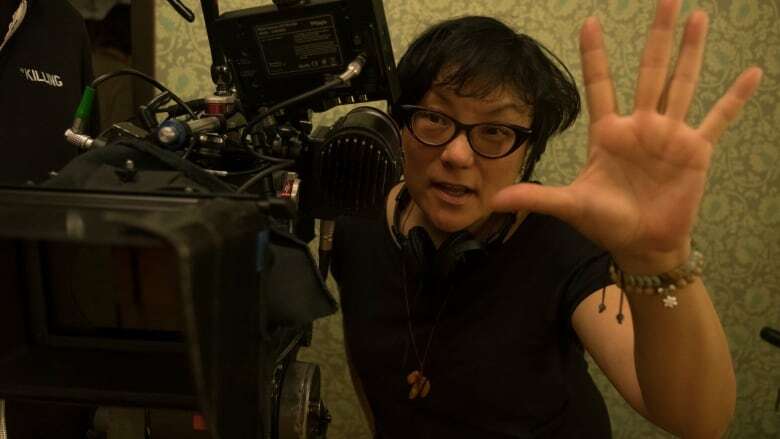 She placed Don McKellar in a corner of their rehearsal space while she directed Lillian Lim and the gang of parking ladies to insult him in Cantonese. It was the first time that Lim had ever met Don. "You could tell he was getting very uncomfortable," she says. Watch the full stream of Mediation Park, including the panel discussion and the full interview with Mina Shum at the link below.